Drone Wars UK will be in court next week seeking to overturn the refusal of the Ministry of Defence (MoD) to release how many of the UK’s fleet of ten armed Reaper drones are deployed and where they are located. The MoD currently releases such deployment details about its other armed aircraft, but has insisted since late 2014 that such information cannot be released about its armed drones. The Information Tribunal, will take place in central London on 11th and 12th July, but will be partially heard behind closed doors with campaigners and the public excluded. 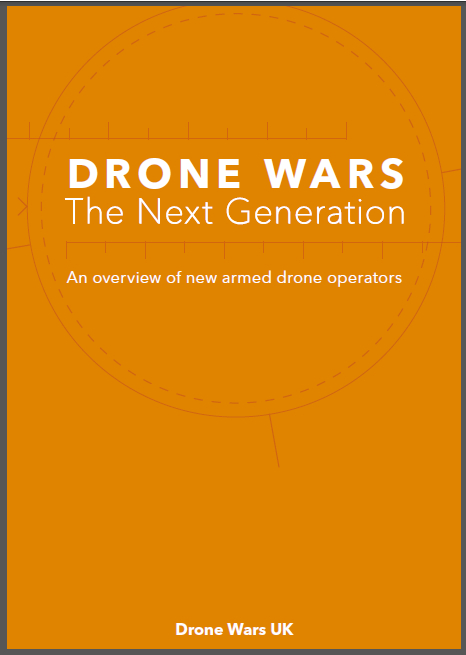 Drone Wars will argue that given the ethical and legal concerns about the use of armed drones, it is in the public interest that there should be at least as much transparency about the deployment of armed drones as for the UK’s other armed aircraft. During operations in Afghanistan, the UK MoD regularly detailed the number of armed Reaper drones deployed, as well as their location at Kandahar airport. However it appears when the decision was made to continue to use armed drones beyond Afghanistan (the Reaper fleet was originally acquired under urgent operational requirement rules only for use in Afghanistan, and bypassed normal procurement procedures) the decision was also taken to refuse to give such details in the future. The MoD regularly insists that armed drones are no different from other military aircraft. However, in refusing to release the numbers and location of Reapers deployed on operations against ISIS while doing so for its other armed aircraft, drones are clearly being treated differently. This would appear to be because the MoD wants to use them, or at the very least have the option to use them, on secret operations. However, given the serious ethical and legal concerns about the use of armed drones, shrouding their deployment in secrecy is a recipe for disaster. 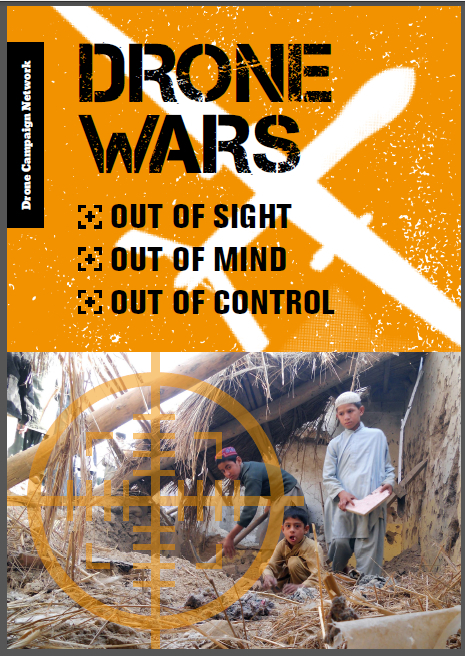 Transparency will enable proper scrutiny and accountability, helping to ensure they are not deployed beyond the battlefield, and that the ability that drones give, to undertake remote air strikes with virtual impunity, does not erode international legal norms particularly around ‘last resort’. While it is publicly knowledge that some of Britain’s fleet of ten armed Reapers have been deployed to the Middle East as part of Operation Shader (as the UK military deployment against ISIS in Iraq and Syria is named) it is not clear if all the UK’s armed drones are deployed there, or if some have been deployed on operations elsewhere, or if some remain in storage in the UK. Without the release of basic deployment information, we simply cannot know. MP’s like Richard Burden, who have raised this issue in parliament, have simply been rebuffed. Since the withdrawal from Afghanistan, Britain’s Reapers have been used at least once outside of Operation Shader; to undertake the targeted killing of Reyaad Khan in August 2015. While this strike took place in Syria, it was before parliament authorised the use of force there. The then PM, David Cameron, told the House of Commons that the strike was “the first time in modern times that a British asset has been used to conduct a strike in a country where we are not involved in a war.” Senior military officers too acknowledged that the strike represented the ‘crossing of a Rubicon’ and the MoD insist in its FoI answers that the strike was not carried out as part of Operation Shader. Defence Secretary Michael Fallon has made it clear that the UK is prepared to carry out further such drone targeted killings. Mainstream media as well as specialist defence press regularly name the Ali Al Salem air base in Kuwait as the base for UK Reaper operations in Iraq and Syria, although the MoD has never confirmed this officially. In May 2016, the MoD arranged visits to the location of the UK’s armed drones for a small, select group of media organisations: The Sun, Sky News, and Conservative US news site, The Daily Signal. While the location was not directly mentioned, there was enough information contained in the reports to confirm the previous reporting. It may be that all the UK’s Reapers have not been deployed on operations and some are simply in storage in the UK (probably at RAF Waddington). If true, this is likely due to there not being enough crew to operate the Reaper fleet. Both the RAF and USAF have had trouble recruiting and retaining drone crew partly due to the heavy workload. 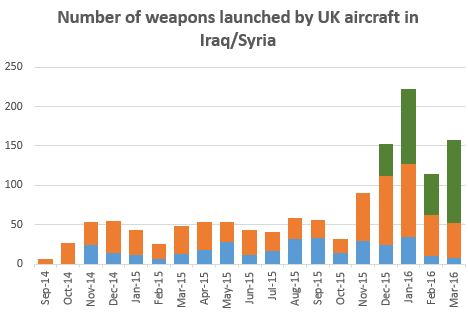 As a former Reaper pilot told Drone Wars in an interview last month, the UK’s drone operations have been “incessant”. However it would be a particular matter of public interest if some of the UK Reapers were mothballed given that last December the government signed initial contracts to spend $1 billion acquiring up to 26 additional armed drones. There would be serious questions around this huge expenditure to expand the UK’s armed drone fleet given that it is not possible to keep the current fleet of ten in the air. The MoD’s perspective appears to be that that it is in the public interest that they should be able to operate these systems outside of public view and without the need for public accountability. From a wider international security perspective however, it is crucial, as more and more nations acquire armed drones, that there is a strong expectation and culture of transparency and public oversight of the deployment of armed drones. As one of the few countries operating these systems beyond its own borders, the UK should recognise that it has both the responsibility and also the opportunity to set high standards internationally for such transparency. However if the UK refuses such basic details as the number of armed drones deployed, other nations acquiring such systems are likely to follow this lead. The deployment of armed drones in particular needs to be carefully monitored as they have become the preferred means of undertaking extra-judicial targeted killings. Indeed it can be argued that the technology has hugely expanded the use of targeted killing. There is also growing concern – and evidence – that armed drones are lowering the threshold for use of force. It has long been argued that there should be parliamentary authorisation for the British use of military force overseas. Currently it is a prerogative of the Crown within the hands of the PM. However in 2011 the Government acknowledged that a convention had emerged whereby the House of Commons should have the opportunity to debate and vote on the deployment of military forces except in the event of an emergency. It has been argued by all the main parties (when in opposition!) that this convention should be enshrined in a War Powers Act, though such calls are regularly dropped when parties get into power. Asked by Tom Watson MP in June 2014 whether the government would seek approval for the deployment of armed drones after operations in Afghanistan, the then MoD Minister Mark Francois replied sarcastically that there was “no intention for parliamentary approval to be sought before decisions on deployment or redeployment of individual items of equipment are made.” Eighteen months later in January 2016 amid discussion of UK military intervention in Libya, Vice Chair of the All Party Parliamentary Group on Drones, David Anderson MP, again asked the MoD if they would ensure that parliament had an opportunity to debate the deployment of UK Reapers outside of Syria and Iraq. Michael Fallon gave a dismissive, one word answer: “No”. If following the lead of the United States, multiple nations begin to undertake strikes from remotely controlled drones without detailing, or even acknowledging such deployments, there will be a significant and damaging decrease in international security. The UK needs to recognise it has a global responsibility on this issue and take an important lead. It should set an important benchmark for transparency on this issue by releasing the number of its armed drones deployed overseas together with their general location, and commit to bringing the deployment of armed drones within the convention that parliament approves the deployment and use of military force overseas. If you can help with the costs of this legal challenge we would be very grateful.